The lighthouses of the Great Lakes, for so long guiding ships to safety across rough waters, still stand as beacons to adventurous travellers. This lavishly illustrated book takes the reader to Split Rock, Sandusky, Big Sable Point, Old Mackinac Point Light, Marblehead Light, and more - 312 lights and structures examined in all. 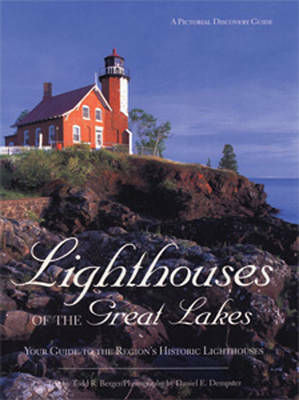 Containing full historical, technical details, and with true-life stories of keepers and their families, horrific storms, encounters with ghosts, all bring to life vividly the lost world of these historic lighthouses. Voyageur Press editor Todd R. Berger compiled this anthology.Daniel E. Dempsters photographs of lighthouses, landscapes, equines, canines, and many other subjects have appeared in numerous calendars, books, and other publications.